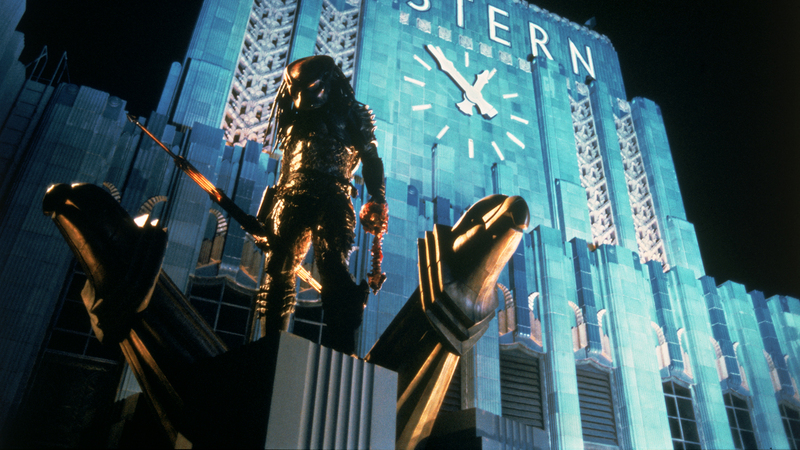 When I stopped by to chat with the good folks at We Love To Watch about the madness and overstuffed spectacle that is Predator 2, I briefly alluded to its animal rights themes, but assured the gracious hosts I wouldn’t burden them with that analysis on the show. However, I feel no such compunction here, so prepare to be burdened. Unlike the previous entries in this fledgling series, The Herd and The Texas Chainsaw Massacre, those themes are less visible and play a smaller role in the subtextual space of the film. But they are absolutely present. While The Herd positions itself explicitly as a metaphor about captivity and the horror of instrumental use, and while Tobe Hooper once summed up Texas Chainsaw by plainly stating, “It’s a film about meat,” Predator 2 (and, to a lesser degree, its predecessor) is more oblique in its treatments. The Predator series is rooted in the age-old notion of the hunter becoming the hunted. This isn’t sufficient to claim it as “an animal rights film”, but the inversion of these roles does hint at the possibility of that reading. In any case, I’m less interested in whether any given film is “an animal rights film”, but rather whether it’s plausible to see the emergence of those ideas in its narrative and frame, which give space to buried anxieties and returns of the repressed. 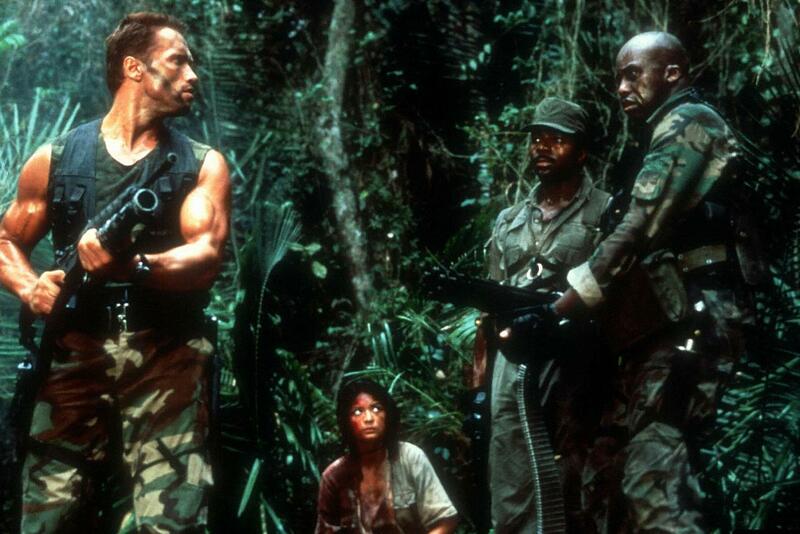 In the first Predator, a team of commandos, led by former California Governor Arnold Schwarzenegger, travel to the remote jungle to pick off some bad guys, but find themselves picked off one by one by a mysterious, apparently invisible hunter. We are repeatedly told the commandos are “the best of the best”; they are essentially hunters of men, and their entourage comes complete with an indigenous guide, as though they are on safari. The machismo and offhand misogyny of their interactions evokes the kind of callous bravado associated with hunters at their worst, flexing their muscles and glorying in the kills that give them meaning (as well as the subjugation of a kidnapped woman). By the time the Predator finally shows up to turn the tables on them, his presence is long overdue. Director John McTiernan and writers Jim and John Thomas may have been aiming for audience allegiance with the humans, and so a sense of terror when roles are reversed, but I’d be lying if I said I wasn’t rooting for the invisible uber-Hunter the whole time. On the other hand, who cares what McTiernan and the Thomas Boys intended; we’ve got the movie. We’ve moved from the jungle to future Los Angeles (that is, 1997). It’s a dystopian hellhole in which drug-dealing gangs go to war for supremacy on the streets, while Danny Glover and his intrepid team of cops (and Bill Paxton) try to restore some semblance of order. In the midst of this chaos, the Predator returns — or a Predator, I should say. Bodies begin piling up, intrigue abounds, there’s a government conspiracy, and more. 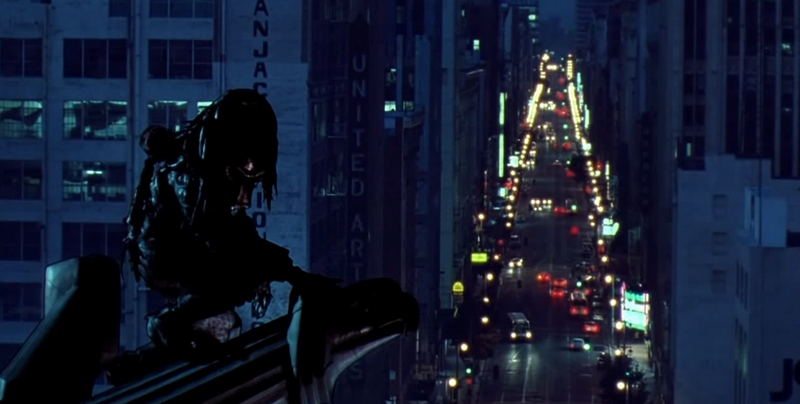 Predator 2 has a lot going on. 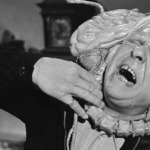 The fascinating thing from this perspective, though, is the film’s repeated trope of victims strung upside down, sometimes skinned and bleeding out. This is how the Predator prefers to leave his kills, and it’s also how the “Jamaican voodoo gang” (I know, I know) attempts to instill fear in its Colombian rivals (I know, I know). There is a sense that everyone in the film — not just the Predator and the gangs, but the cops and the government — are in some sense hunters, deploying violence and dehumanization to achieve dubious, morally fraught ends. 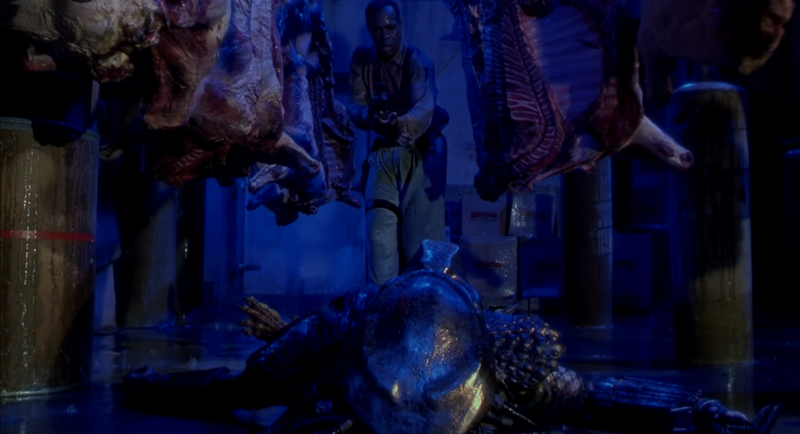 As if in service to the central metaphor in question here, Predator 2 locates its climax in a warehouse full of cow carcasses on hooks, a mise-en-scene that also serves as a call-back to the earlier images of skinned human bodies similarly suspended. We are informed at one point that the Predator is attracted to places of violence and strife: this is presumably meant to refer to future L.A. itself, a cesspool of murder and vengeance that provides ample opportunity for invisible alien hunters to target their prey. But by situating the showdown among hunks of animal bodies, Predator 2 goes out of its way to suggest another form of violence that haunts its world. Both the first and second Predator movies are generally classified as sci-fi, but operate with the logic of the slasher film, bringing them closer to horror than might initially seem to be the case. (Indeed, Stephen Hopkins, Predator 2 director, had directed A Nightmare On Elm Street 5: Dream Child the previous year.) But both genres, at their best (and often at their worst), mine latent anxieties and fears through allusion and imagistic reference. 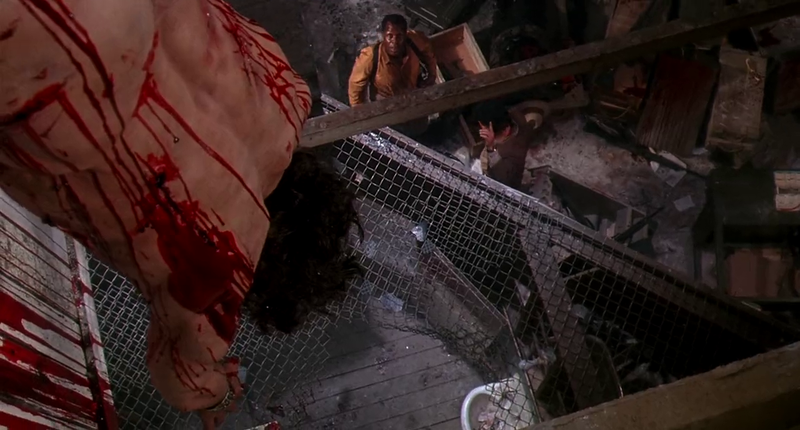 Regardless of authorial intent, the moment Predator 2 proceeds from its general “hunter become the hunted” trope to a morbid, visual fascination with skinned bodies suspended from ceilings and low-lit confrontations in warehouses full of the same, it’s arrived at an oblique insight into our relation to the non-human animal world. When the Predators’ trophy room is unveiled at the film’s end, and Glover presented with a trophy of his own, it becomes clear just how much trouble we may have been causing ourselves for centuries. The fear that we will become prey to better hunters is simply another way of expressing anxiety about our treatment of the world and the beings in it right now. 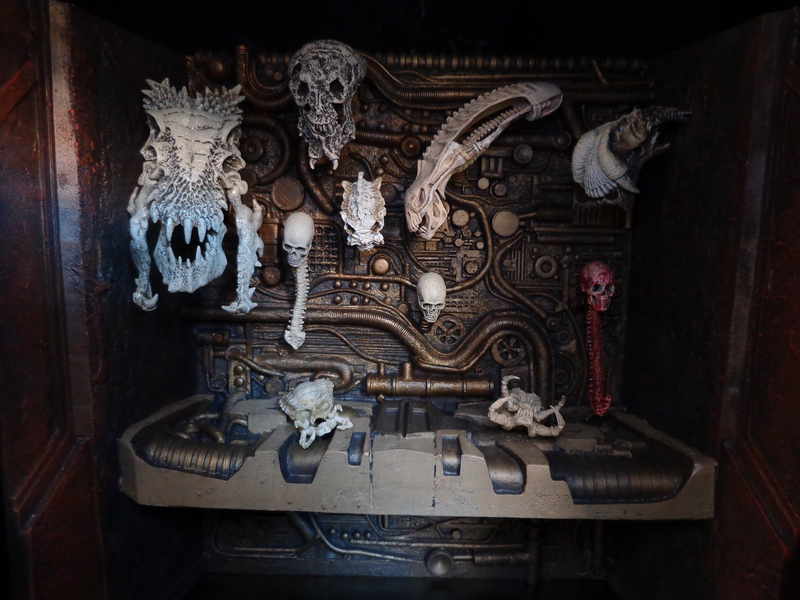 The transition of a “body” to a “carcass” is largely a linguistic trick buttressed with material weaponry. There won’t be much difference when we’re the ones on the hook.